The economic functions of the bitcoin network causes it to behave like a central bank. This has a few effects: bitcoins (the payment unit) behave like stock due to the fixed, known supply of units being subject to open market operations. What happens when the market price of bitcoin changes is the velocity of bitcoin falls into disequilibrium until a new equilibrium is found. This is why the transaction volume of bitcoin its extraordinarily high during the bubble cycle, both on the way up, and on the way down. From this observation we can see the velocity of bitcoin also serves as the price finding mechanism for the immediate price of bitcoin. Before we dive in deeper, lets first take a look at how bitcoin acts as a private bank in the digital world. Whomever secures the Network shall be reward 50 bitcoin with each new block. This amount shall decrease by 1/2 every 210,000 blocks until it cannot be halved any longer. This is the issuance of bit-coins, the currency unit, is made from the electrical energy spent mining bitcoins. We can see the monetary inflation schedule for bitcoin below. The supply of bitcoins is 100% totally fixed–the only way that new coins can be created is through solving a specific block, and the reward for that is drops every 4 years. In order to have a money system that needs no central authority, Satoshi made bitcoin based upon rules that are fixed and secured by the mining process. This allows for a system where all bitcoin units are known at all times, thus making the double spend problem solved. 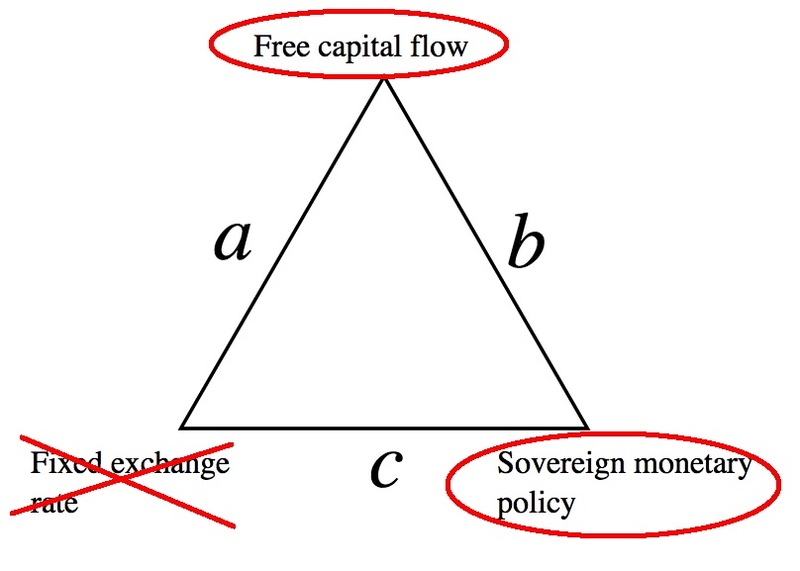 If bitcoin is a central bank, it would have to solve the impossible trinity problem that all central banks face (except the U.S. but that is a different story). Bitcoin accomplished this by creating a computer program with an independent monetary policy that humans cannot interfere with. 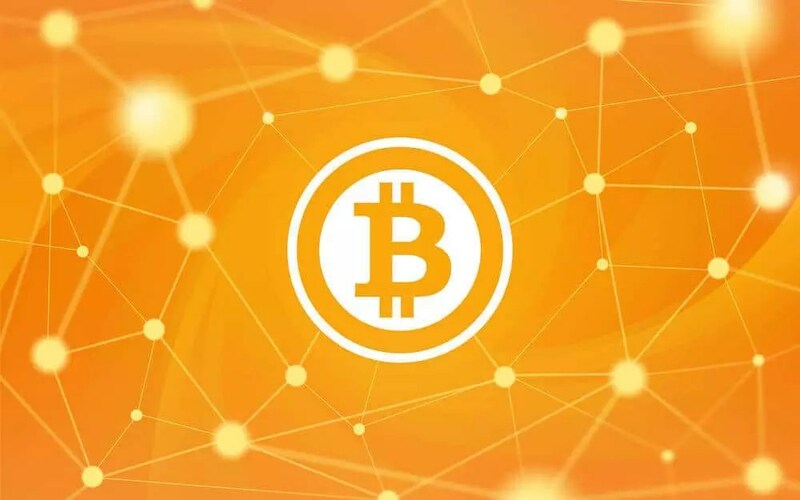 The block reward, how the competition for the block reward is done, and the fixed supply of units are all parts of the bitcoin program that cannot be changed. Anyone with a bitcoin address can use bitcoin, and it is impossible to know who is controlling each address, so bitcoin must be freely exchangeable. This means that the ‘sacrifice’ that bitcoin has made in terms of the impossible trinity is that it has no fixed exchange rate–the market must find an exchange rate based upon bitcoin’s perceived value, and the number of units available to the market. This free flow of capital from any sources is what allows for bitcoin to have been worthless just a few years ago, and why it could be worth $10,000s per coin one day. The free flow of capital is what creates the total elasticity that bitcoin experiences. When economist have called bitcoin deflationary they are referring to its economic property of rising in value over time. This is due to the restricted supply of bitcoins while there is increasing demand for them. This is similar to how if you had bought Apple stock in 1980 during its IPO you would have paid $22 per share. Due to the restricted supply of Apple stock and the increase in demand, today it is valued at $520 per share–and that is after 3 splits. You could say that Apple stock “deflated” in value. This occurred while the supply of the stock (# of shares) of Apple increased–it inflated. On three different occasions Apple had their stock split increasing the total number of Apple stocks there were. Again, this is due to the dramatic increase in demand for the stock. This is the kind of deflation that Bitcoin is experiencing overall, despite the volatile ride bitcoin has had over the last few year. Deflation is bad according to modern monetary theorist who charade as economist because contemporary economies are based upon debt. Fractional reserve banking and debt cannot exist without one another, so when deflation happens, it happens to debt as well. This means the real value of debt becomes harder to service, which means defaults, and bankruptcy will increase. In 1931, Irving Fisher presented his theory on debt-deflation, which explains this process in greater detail. This kind of deflation does not happen with bitcoin. There is no need to service ‘debt-bitcoin’ with bitcoin, so debt deflation does not happen. If this were true, we would see a similar collapse in the velocity of bitcoin during deflationary episodes, but in fact we see the opposite. The velocity of bitcoin increases correlatively to the price change of bitcoin in the short-term. 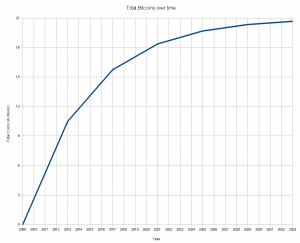 The price of bitcoin is derived from the total utility of the bitcoin network. In otherwords, bitcoin’s value is specifically tied to how many people are in the network, how useful the network is, and what the perceived value of bitcoin is. This is similar to how Twitter and Facebook have created social value that has translated into real economic value; which is reflected in the stock price of both of these companies. Without their userbases, each one of these networks would be worthless. All networks have a hidden utility that translates into direct economic value. The value of bitcoin is based in part off of this network abstraction. In order for price discovery to happen individuals need to use their subjective preference to decide how much each bitcoin is worth, and how much the network itself is worth. This is how the general, long-term price levels for bitcoin are discovered. 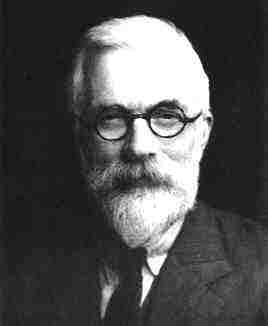 The short-term price is discovered according to network externality, such as exchange failures, or political issues. An example would be how bitcoin is ‘more expensive’ in Argentina because of the high rate of inflation that the peso is experiencing. Another would be the dramatic drop in price, and then recovery after the Silk Road was shut down. These network externalities, unlike fiat money, causes for great volititly in the price because there is no goverment to fix the price of bitcoin; only the market. The price of bitcoin reponds to these events through change, which causes for the velocity of bitcoin to increase until a new equilibrium is found. Due to the fixed supply of bitcoin, the only way that the price can be adjusted is in one way: through exchange and transaction. This is why during the most volatile times of bitcoin, we see a higher transaction volume. This applies to both increases as well as decreases in the price. Due to the fixed supply of bitcoin, the only way someone can acquire bitcoins is to mine them, or to buy them. Thus if the price of bitcoin is to increase or decrease in ANY WAY, an exchange or transaction must take place for that value to be accounted into the market. Bitcoin’s deflation is similar to a technology stock where individuals are making real gains though holding a risky asset while it grows. Because bitcoin has a fixed monetary supply that cannot be manipulated, the price of each bitcoin is determined through supply and demand mechanisms. This is reflected in the increase of the velocity of bitcoin. If bitcoin were facing true currency deflation, we would not see the velocity of money decrease.